Explore Ellora caves, Ajanta caves, Vihara caves, Aurangabad caves and others. Mumbai sightseeing covering Malabar hills, Marine drive and others. All Indiana Jones lovers will be mesmerizing by this itinerary. This itinerary focuses on the ancient caves in Mumbai. Buddhists and other religion monks used Ajanta and Ellora caves during 6 AD and before. These caves are now an important exploration spot near Mumbai. This trip gives more importance to the caves and covers other top sightseeing spots in Mumbai and Aurangabad. The tour stretches for six days and five nights. The tour starts and ends in Mumbai. You will be taken to Aurangabad during the trip too. 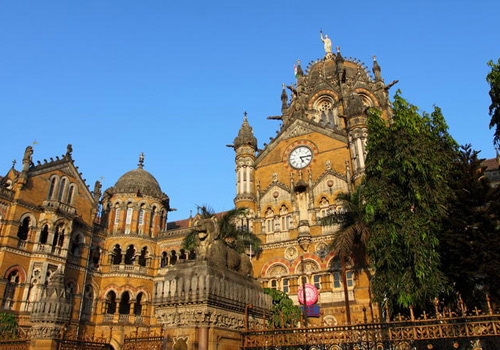 This itinerary suits people who want an adrenaline packed vacation in Mumbai. You will be received by a representative from the airport or railway station and taken to a pre-booked hotel in Mumbai. The rest of the day is free. 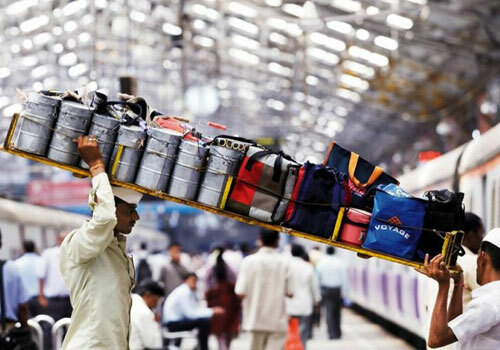 You can visit beaches, take up market trip, visit Mumbai slum area or enjoy street food of Mumbai. 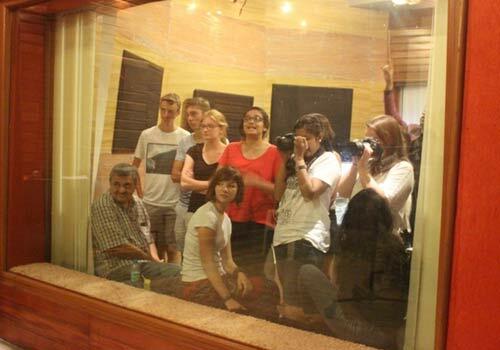 On the other hand, you can also stay back in the hotel and rest for what is coming next in the trip. 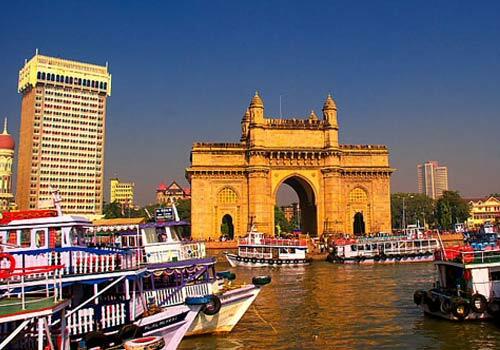 The day starts with sightseeing trip that covers almost all top tourist attractions in Mumbai. Top spots visited are Marine drive, St. John church, Chowpatty beach, Malabar hills, Gateway of India, Hutama Chowk, Flora fountain, Juhu beach and others. The trip ends by late afternoon and the rest of the day is free for other activities. Since the next day is tight with activities, people prefer to take rest. If desired, you can enjoy Mumbai on your own. After early breakfast, you will be transferred to Mumbai airport where you would board a flight to Aurangabad. Once you reach the destination, you will be taken to a pre-booked hotel. After a brief rest, you will be taken on a trip to Daulatabad fort, Aurangabad caves and others. The Daulatabad fort is a 2nd century structure famous for temple and exploration. 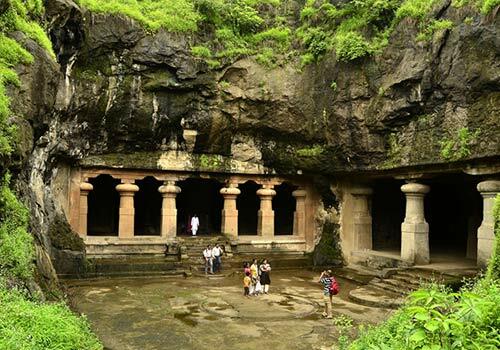 Aurangabad caves were used during 6th century and today, it is an important exploration spot. You will be taken back to the hotel by late evening. Overnight stay in Aurangabad hotel. This day is completely dedicated to Ellora caves. You will be taken to the caves by morning. You are free to explore the 34 caves temples and other attractions inside the caves. These caves were used between 6th and 10th century AD. It has the largest rock cut temple structures in the world. There are temples of Jainism, Hinduism and Buddhism. You will be taken back to the hotel by late evening for dinner and rest. You will be taken on an early morning drive to Ajanta caves. Buddhist monks took residence inside the cave to protect themselves from heavy rain. They used primitive tools to build massive temples and statues during their stay. The monks built the structures during 1st and 2nd century AD. 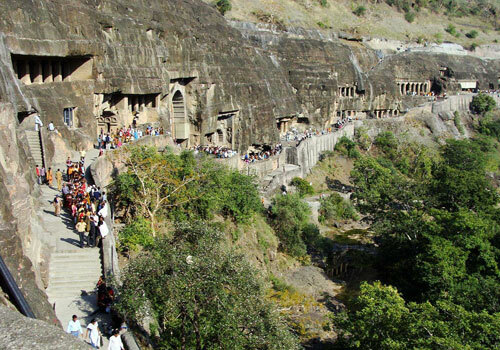 You will reach the Ajanta caves by early afternoon. After lunch, half-day exploration of Ajanta caves starts. You will be taken back to Aurangabad by late evening. Early morning trip to Vihara caves of 5th century and a few other ancient caves of Aurangabad as time permits. After lunch, you will be taken to airport to catch a flight to Mumbai. From Mumbai airport, you can either catch your destination flight or check into any Mumbai hotel and continue your vacation in the city that never sleeps.